On a cool, rainy day, “Rowdy” the rhinoceros isn’t about to come out of his heated-floor pen. But the kangaroos are hopping, the antelope and oryx are grazing, and as Texas Disposal Systems’ recycling director Paul Gregory steers his Chevy Suburban over damp gravel, a camel trots to keep pace, lips flapping in the wind. 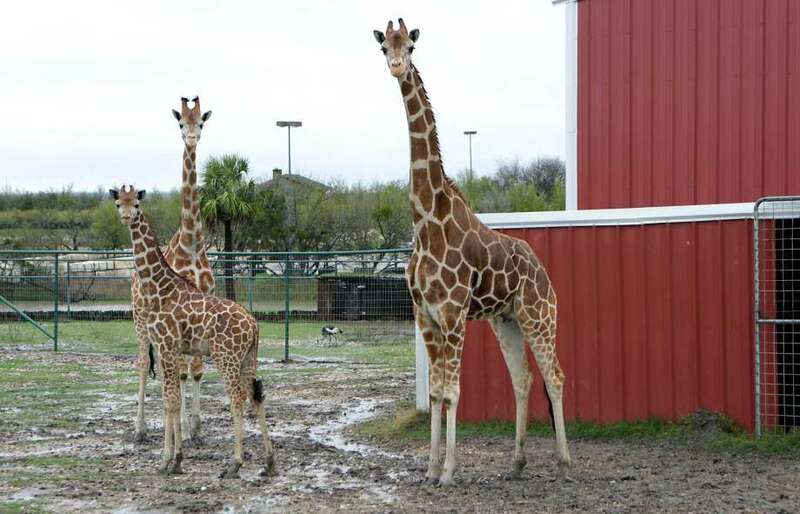 For Creedmoor, Texas, population 221, this incongruous combination of landfill and exotic game ranch, with its stock of globally curated species and rustic ranch-style pavilion to delight nearby Austin’s glitterati, is just the icing on the wedding cake. Which is how Gregory describes tiers of trash and clay that will, by the time they’re capped, essentially be three mountains of garbage, 62 feet deep and 60 feet high. Whatever controversy there was some 25 years ago when Gregory’s father, Bob, and uncle, Jim, got the permit for this site 15 miles south of Austin is now distant memory, even as the facility takes in 3,000 tons of trash a day. The privately owned landfill is now Creedmoor’s largest taxpayer, largest employer, and purportedly best industrial neighbor. When the holidays roll around, the company gives every nearby family a Christmas tree and a ham. The landfill staff even tend to the once-neglected adjacent cemetery where Jacob T. Wilhite, founder of the Texas Health Department and still Creedmoor’s most famous citizen, is buried. Soils are key when you’re in the landfill business, and Gregory compared the consistency of the clay under Creedmoor to hand-milled soap, ideal for building a landfill that won’t seep contaminants into the environment. 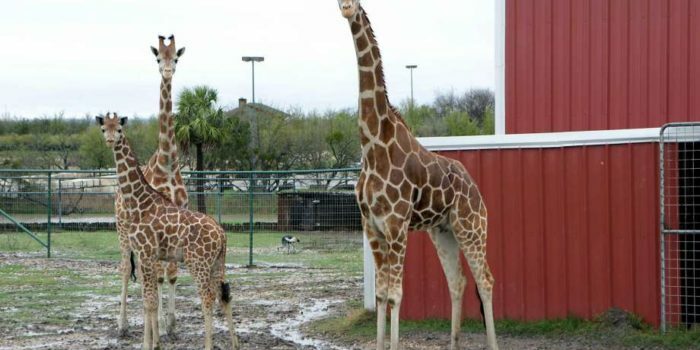 Over time, it became a full-fledged exotic animal breeding operation that hauls trash for more than 120 home owners associations and municipalities, including Austin, San Antonio, and San Marcos. The landfill also composts food waste from the Alamo Heights Independent School District as well as about 130 schools in the Austin Independent School District. It recently completed a San Antonio River Authority composting facility, potentially a 50-year contract involving 54 acres of property. It’s a competitive market, and the fisticuffs have come out in legal battles over contracts and municipal recycling revenue that as of late hasn’t materialized. But Texas Disposal Systems can tout its vast facility as one of the industry’s top-rated landfills. Landfills, most of which are now privately run, are a $52 billion-a-year business. The Creedmoor facility is an example of how they have evolved over the years from smelly, open-air dumps to picturesque green spaces that recycle more of their trash than they bury in the ground. The TDS landfill recycles about 25 tons, the size of two whales, per hour. It’s part of a national industry that in 2014 turned 135 million metric tons of trash into resellable commodities, like aluminum sheets, with a market value of about $80 billion. Two decades ago there were about 500 curbside recycling programs. Now there are about 10,000. While there may not be another landfill in the U.S. that’s host to wildebeest and buffalo like the Creedmoor facility, there’s a growing trend to beautify old and active landfills with gardens, playgrounds, and walking paths. Mount Trashmore Park in Virginia Beach, Virginia, is a former landfill that’s been transformed into a 165- acre expanse of lakes, paths, and picnic grounds as well as a skate park. The Tifft Nature Preserve in Buffalo, New York, is a 264-acre former landfill that’s now an oasis of trees, wildflowers, and marshland fauna that can be rented for weddings. Des Moines, Iowa’s, Metro Waste Authority hosts students for tours of its landfill, which has about 800 acres that are farmed and 500 acres of prairie, woods and wetlands. Here in San Antonio, Republic Services Inc.’s Tessman Road Landfill’s green-colored solar energy cover was a first-of-its kind way of using a landfill cap in 2009, as well as a biogas-to-energy system beneath it, to generate electricity. A pile of paper and plastic to be sorted at Texas Disposal Systems’ $17 million materials recycling facility on the site of their landfill in Creedmoor, just south of Austin. Many of the changes were spurred by the increase in trash volume due to the explosion of fast food and packaged goods as well as the environmental awareness brought by the 1970s Love Canal toxic waste disaster, which prompted President Jimmy Carter to sign the Superfund environmental cleanup bill into law. The new laws required landfills to protect the environment more by lining the bottoms to keep toxic waste from seeping into nearby groundwater as well as other measures to ensure our trash didn’t become a public health hazard. Recycling trash used to be profitable, as developing nations like India and China sought out the cheaper materials and consumers willingly provided free raw materials, allowing businesses like Texas Disposal to take the maintenance of landfills to a high art. But recycling is all about the global commodities market, and with commodity prices so low right now and the U.S. dollar so high, the export market has suffered. The volume of high-value paper recyclables has also fallen by 18 million tons since the turn of the millennium as more people go digital and use less paper, making operations like the Gregories’ anomalies. Houston-based Waste Management, the North America’s largest solid waste and recycling company, has closed or sold off dozens of its recycling facilities during the past few years. During its fourth quarter 2015 earnings report, the company noted that prices for recycled products tumbled 18.6 percent from the same three-month period the year before. For shareholders, the good news was that even if recycling was down the company was making money just taking in the trash. “We are encouraged by the positive momentum we are seeing in these volumes and expect them to continue throughout 2016,” Waste Management CEO David Steiner told investors. The Austin City Council adopted a “zero waste” plan in 2011. The goal is to reduce the amount of trash sent to landfills to 10 percent or less by 2040. Texas Disposal Systems handles about half of Austin’s recyclables, but the company lost $2.7 million on the contract over the past two years because the market has been paying less for recyclables than it costs to process them, according to an Austin- American Statesman report. Some communities have stopped recycling low-priced commodities altogether. Houston plans to eliminate glass from its curbside recycling program as part of its two-year contract with Waste Management, city officials said in March. Houston Mayor Sylvester Turner said the deal would lower processing costs while keeping Waste Management from having to lay off local employees. “Removing glass from the recycle stream was a painful decision but allowed the city to keep the interests of the residents of the city of Houston front and center as they worked with us to find a solution to the city’s recycling needs,” Smith said in a news release. The drop in commodity prices meant the industry was having to make some difficult decisions, said Sharon Kneiss, CEO and president of the National Waste and Recycling Association. Plastics are affected by oil prices because they are a petroleum product, manufactured from hydrocarbon gas liquids, a byproduct of petroleum refining, and natural gas. The plastics going into the waste stream meanwhile are thinner and carry less value, she said. “Recycling has traditionally been counted by weight, and this is kind of disrupted by the lightweighting. So we really need to think how we account for recyclables,” Kneiss said. The goal now may be for recyclers and customers to figure out how to make sure the customers, in many cases municipalities, can pay for the recycling while sharing the risks and rewards as commodities prices fluctuate, she said. Joshua Reno, an anthropology professor at Binghamton University who wrote the book “Waste Away: Working and Living with a North American Landfill,” said the trend toward larger, corporate owned landfills has largely been driven by federal regulations that made it more expensive to deal with trash and has distanced most Americans from decision making about their waste. The Resource Conservation Recovery Act, which passed in the 1970s, required landfills to be lined and have systems to deal with gas release and leachate, the liquid that drains through the landfill. To research the book, Reno worked at a privately owned landfill in Michigan. He said one big takeaway was how sophisticated the modern landfill was, a big departure from the deeply ingrained image of the garbage business as a haven for corruption and organized crime. Things that may be lost by the corporatization of waste include the awareness that came with the old- time local dump and the kind of innovation that might come from a more scrappy mom-and-pop operation, he said. David Biderman, CEO of the Solid Waste Association of North America, said a lot of the problem came down to consumers putting too many things in their recycling bins. Sorting through people’s junk drove costs up. The same homeowners who feared a landfill in their backyard would sink their property values feared a golf course or ball field — typical amenities for the required landfill buffer zone — would raise those values too much and increase property taxes. A game farm made for a nice compromise. It’s also allowed the Gregories to claim an agricultural tax exemption. The key is keeping as much as the trash as they can out of the landfill, Paul Gregory said, with hopes the 2,000-acre contiguous property will be operational for another 75 to 100 years. Bob and Jim Gregory grew up helping their father, James, with his San Angelo-based scrap metal business, Acme Iron and Metal. They started Texas Disposal Systems in 1978 with a single roll-up truck and in 1984 purchased Acme, which they still operate. By the late 1980s, they were tired of paying dumps to take in what they hauled from around West Texas and Austin, which was already generating a lot of recyclable computer parts. He said that they have thrived thanks to their innovative re-use and resale of other people’s trash. “We privately own this landfill. So where most landfill owners are publicly traded companies that have to report quarterly earnings, we have a much more longer-term view in terms of the site being developed in preservation on landfill space,” he said. Their tours start at the gatehouse, alongside of which is a resale shop where you can buy everything from exercise machines and gold clubs to yes, the pre-renovation kitchen sink. The soils will be sold by grade at Garden-ville, an organic farming specialty shop a division of Texas Disposal Systems acquired in 2000. There are so far seven Garden-ville shops in the region; an eighth is scheduled to open within the next few weeks. There are piles of tire chips that can be burned as fuel like coal. Piles of glass are ground so fine you can walk barefoot on them; the glittering material is becoming popular as an alternative ground cover. There’s a 12-bay shop to maintain the company’s 250 trucks, all emblazoned with animal pictures. The fuel island dispenses $15,000 in diesel every day. The 9 million cubic yards of dirt that was dug out to accommodate the trash was used to level out another part of the property for a manufacturing park. The $17 million materials recycling facility, or MRF, is a 106,000 square-foot building that processes 65,000 tons of recyclables of each year, with workers and automated processes separating out wine and beer bottles by color, metals by type and grade. Bales of aluminum, paper and crushed glass lined the outside of the facility. Few landfills have such a facility on site.